0 - Whole, 47 x 69.5 cm, SIGHT DIMENSION. Signed and dated l.r. corner, brown oil "L Buvelot 1876.". 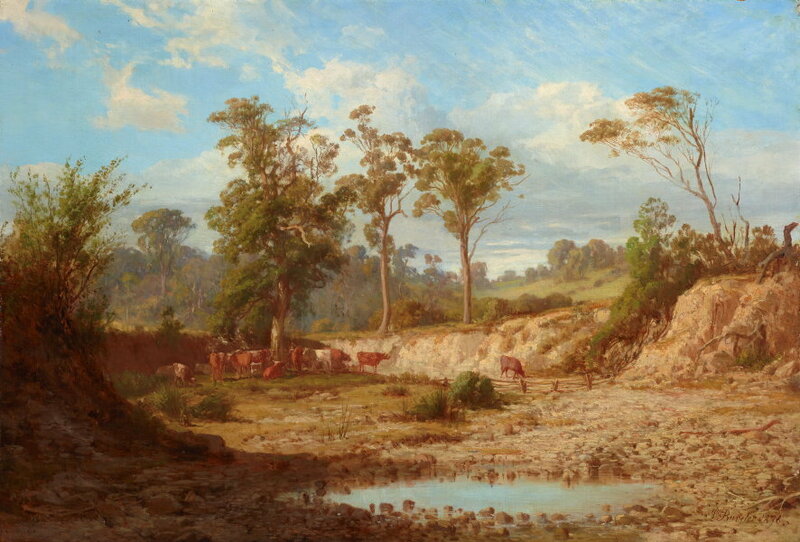 Daniel Thomas, Art and Australia , 'Australian collection', pg. 52-62, Sydney, Jul 1972, 54 (colour illus.). 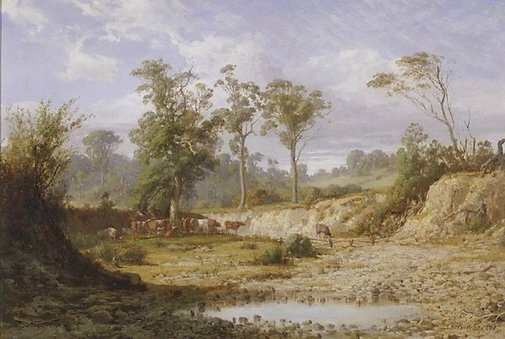 Elizabeth Young, Australian landscape 1802-1975 , 'Impressionist', pg.11-17, Adelaide, 1972. Art Gallery of New South Wales picturebook , Sydney, 1972, 73 (colour illus. ).